Does your next wedding photography client have a disability? Are you wondering how to shoot a bride/groom in a wheelchair and capture them perfectly on their wedding day? In this guide, we will share some tips for photographing a bride or groom in a wheelchair. As a professional photographer, you’ll have a variety of clients. If you have a client with a disability, then you need to work a bit differently to show them in their best light. You should know about the essential wedding photography poses for couples, but wheelchair wedding photography can be a unique challenge. Relax and make your client comfortable for the shoot. Don’t treat them differently than your other clients just because they’re in a wheelchair. Your selection of words will be very important. Just like with your other clients, motivate them for the best wedding photography poses. Make sure that you are shooting normally and not focusing much on the wheelchair. It’s possible that the couple may have photography poses in their mind. We recommend you to listen to their ideas and brainstorm on the poses. Bride or groom who uses a wheelchair will be more comfortable in the poses chosen by them for their wedding. Don’t forget to capture the wedding dress and shoes in your photos. Wedding outfits for wheelchair users can be different, so you should capture them uniquely. Often, the bride or groom in a wheelchair may have custom outfits that are stitched on request. You can add value to the outfit by shooting it for the couple. 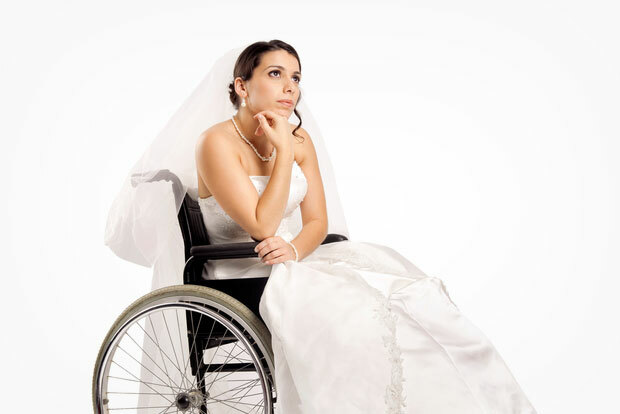 You may need to put extra effort and time to adjust your client with a wheelchair in their wedding poses. We recommend you to add more time to your schedule, so you don’t need to rush on anything. We also recommend you take an assistant photographer with you to help in the shoot. Make sure that you and your assistant will remain caring and friendly with the couple. But, make sure not to be patronizing or condescending. Treat them as you would any adult. Make sure to make eye contact and speak to them directly, instead of speaking through their partner. You may find moments when you need to stay calm to handle the situation. We recommend you to remain confident and keep smiling to your client. Sometimes a client with a disability will need assistance. If your client seems to need help to pose for a shot, be sure to ask first. Don’t touch the wheelchair without their permission. You can also use your assistant wedding photographer to help the couple. We hope this guide has helped you to learn the 7 tips for photographing a bride or groom in a wheelchair. 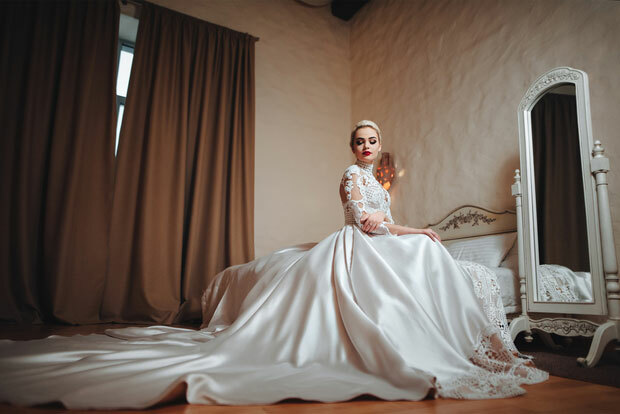 You may also want to check out our guide on 9 tips for shooting your first wedding and read the 25 legit ways to make money online with blogging.